Sprouts sandwich is a yummy way to eat sprouts. This way you can even make kids eat them. It’s rainy season here at home so it’s easy to grow sprouts hence these sprouts sandwich. 1. Pressure cook sprouts to 2 whistles with 1 tbsp water and salt. 2. 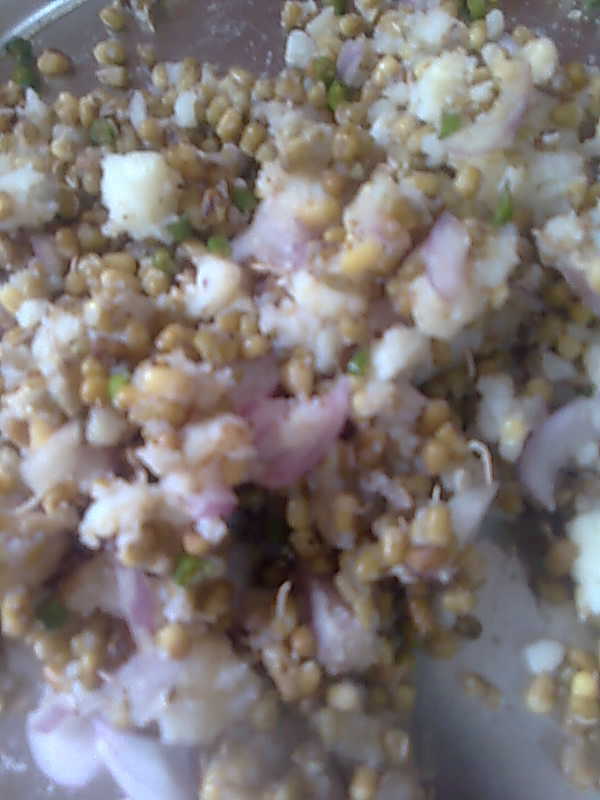 In a bowl, mix sprouts, onion, green chillies and mashed potato. Add salt and black pepper powder. 3. Lightly butter bread slices on 1 side. 4. Take a buttered bread slice and place sprouts mixture on it. Cover it with another slice with buttered side down. 5. 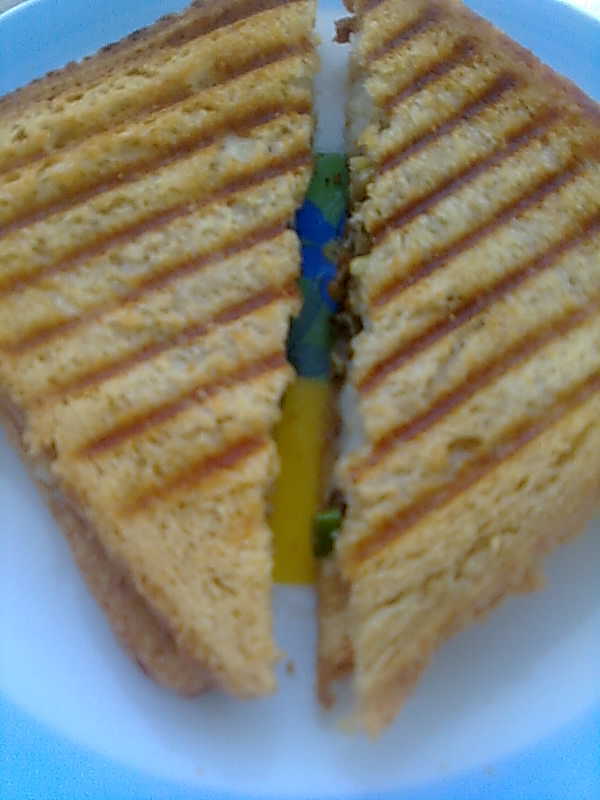 Place this in a sandwich toaster or grill them. Similarly make rest of the sprouts sandwich from remaining material.